Alaska is truly unlike any other U.S. state and is quite unique when it comes to global locations too. With its luscious landscape, 33,000 miles of coastline, and plethora of must see wildlife, there is a good reason why so many head to Alaska for their holidays. There is so much to see and do in this northerly state and it will find visitors engaged in activities that won’t be forgotten any time soon. If you are eyeing up a cruise to Alaska, USA in the future, you will certainly be interested by what’s on offer. To help you plan your future adventure, we’ve put together the below list of top family activities to participate in. Take a look and start planning your trip! There is no better way to learn more about the destination you are visiting than by making the trip to an educational and entertaining museum. Luckily, Anchorage Museum more than fits the bill, and the museum was kind enough to tell us about what visitors can expect to see. “Anchorage Museum is not only the largest museum in Alaska, it is one of the top 10 most visited attractions. With more than 247,000 square feet of exhibition and public spaces, it tells the story of Alaska and the North through permanent and temporary exhibitions. The Discovery Center provides more than 10,000 square feet of space dedicated to science and young learners. Tote KidSpace provides more than 1,800 square feet of tactile fun for children ages 5 and younger. “Age-appropriate games and books, a fort and a playhouse entertain youngsters for hours. 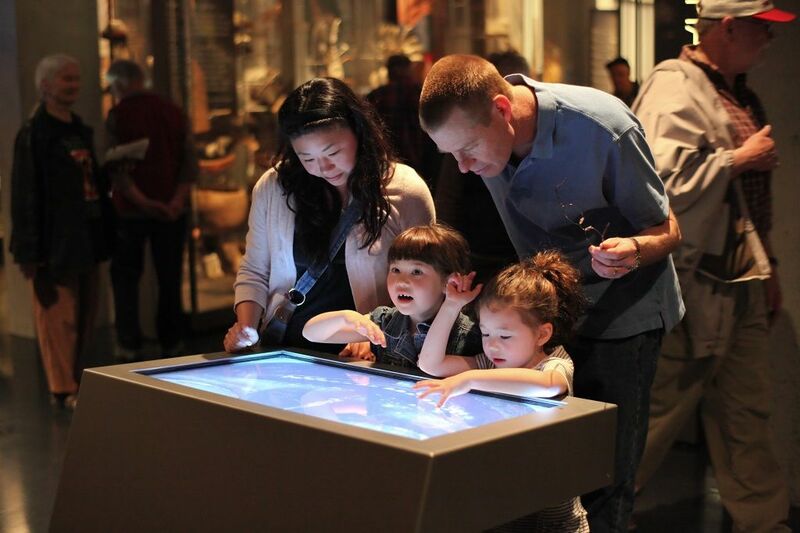 The Exploration Station provides programming at 2 and 4 p.m. daily, drawing visitors of all ages to learn more about the world around them. Smithsonian Spark!Lab celebrates the thrill of curiosity and invention and the planetarium offers tours of the Northern night sky, complete with aurora borealis. Anchorage Museum also spoke to us about what makes Alaska such a wonderful place for families to visit, describing their favourite things to see and do – some of which are discussed in more detail later on in this guide. “Alaska offers families nature and wilderness experiences along with all the creature comforts (if desired). If traveling on a cruise ship through Southeast Alaska, visitors may spot several varieties of whale, porpoise, and fish jumping, as well as bears, eagles and other wildlife along the shore. If on a day cruise in Southcentral Alaska, they will see glaciers, whale, porpoise and fish jumping as well as bears, moose, eagle and, depending upon where they are cruising, puffins. “The top activities center around nature and our wild spaces. Kids enjoy the adventurous opportunities like kayaking, zip lining, and dogsledding a glacier, for sure. I also recommend families take an active part in local culture-based activities like Native Alaskan visitor centers, traditional fishing activities, and the like. Alaska's geographic sections are home to an incredibly diverse range of cultures and it behoves a family to take advantage of the Native groups in the area they visit. 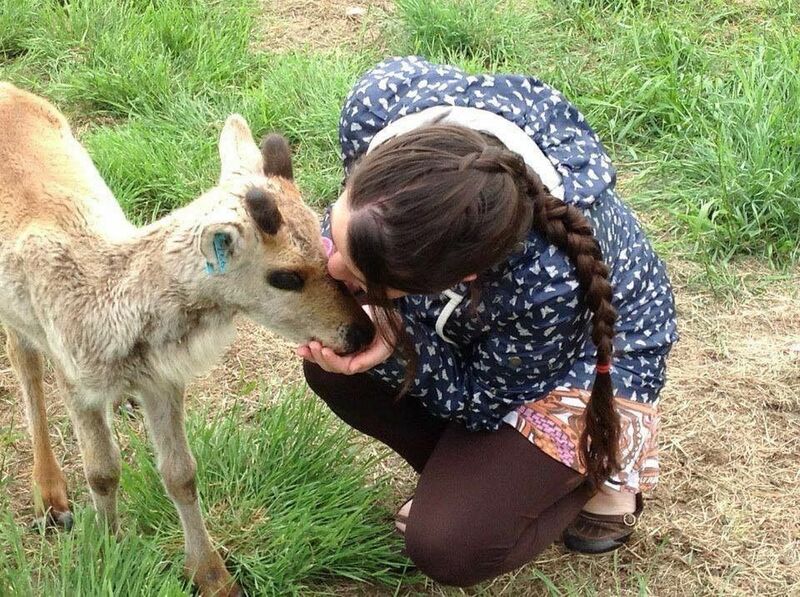 The Alaska Wildlife Conservation Center – a non-profit organisation that homes orphaned and injured animals – is a must-visit location for families interested in seeing the glorious wildlife that Alaska has to offer. At the center, injured animals are taken in and nursed back to health and the facility also doubles as an educational environment for visitors. There are numerous tours and programmes available – such as the ‘Behind the Scenes Tour’ where visitors can take an inside look at the inner-workings of the center. Here you will be guided along and given the chance to feed and meet the residents. 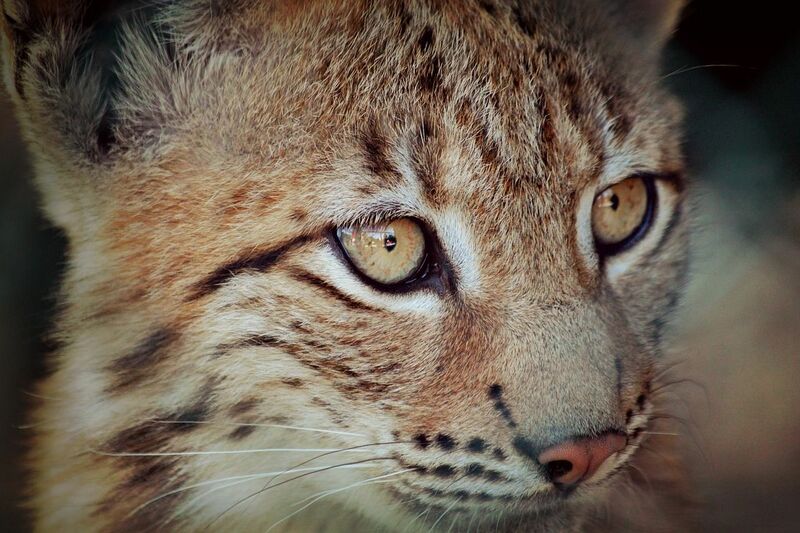 The Alaska Wildlife Conservation Center is home to myriad animals, including bears, bison, wolves, elk, musk ox, and lynx. The center is open 7 days a week. 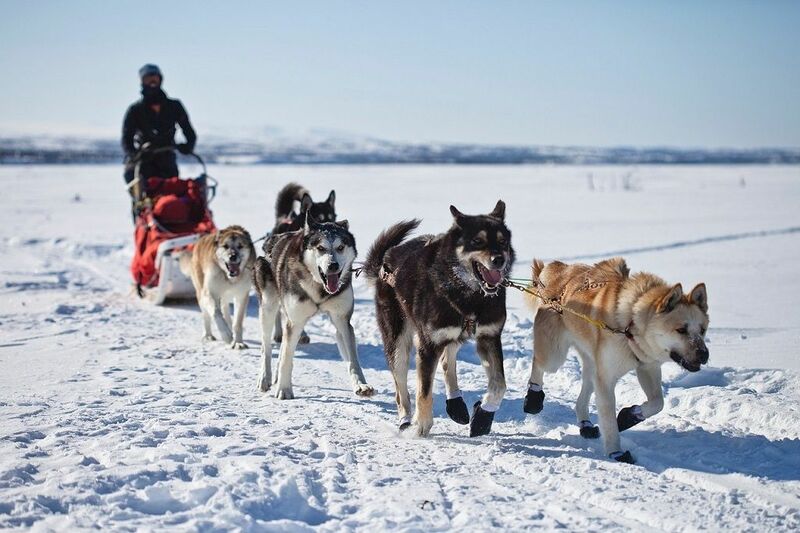 Alaska is well known for its dogs and the sleds that often accompany them, and seeing these wonderful animals for yourself is an opportunity not to miss out on. Like many top family attractions in Alaska, Seavey’s Ididaride has seasonal opening dates between May and September but for those heading to Alaska during this time they are well worth the visit. There are numerous tours available, visiting glaciers and the like, as well as unforgettable dog sled rides, a visit with the kennels in their Seward location, and a chance to grab a hug with some rather adorable husky puppies. If any activity screams Alaska, this is it. Young families will enjoy nothing more than witnessing the magic of reindeers, which, in Alaska, don’t just show up at Christmas. At the Reindeer Farm in Palmer, children can get up close and personal with the 150 reindeer that populate the farm, as well as a number of other wonderful animals! The Reindeer Farm loves welcoming visitors to their premises and spoke to us about why paying them a visit should be high on your agenda. “The Reindeer Farm is a great place for families because you get to pet many of our animals! More than a zoo, you are given a cup of feed and enter the pen to hand-feed some of our favourite reindeer! We are family owned and operated, so when you come to our farm, you are visiting our home! We live here, year round. “We have more than just Reindeer!” they are quick to point out. “We also have a Bison, Moose, elk, bunnies, chicken and a pig that has a favourite trick! In the summer we have horseback trail rides available up the Butte with fantastic views and a beautiful easy ride! The land isn’t the only place worth exploring, as the surrounding waters and coastal regions are full of interesting creatures to discover. Alaska is a true gem for those fascinated by sea life and there are plenty of ways to take advantage, one being The Center for Alaskan Coastal Studies in Homer which has a bevy of guided tours available for those wanting to see what’s available. Kids are destined to enjoy spotting invertebrate life in and around the Homer Harbor Docks during the ‘Creatures of the Dock Tours’. Just remember, the Alaskan waters are cold so make sure to wrap the family up before seeing what lies beneath. 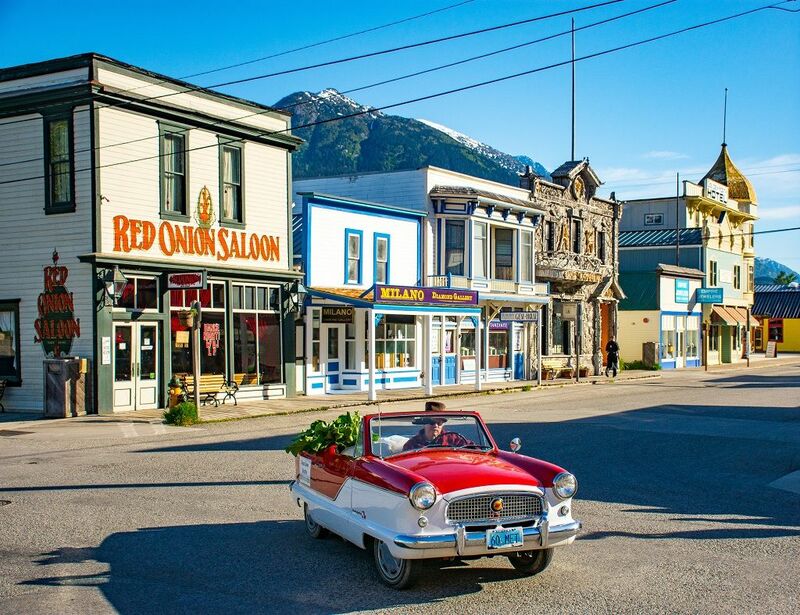 “Skagway is nestled in a remarkably picturesque setting, between the dramatic 7,000-foot high Canadian boundary mountains and the mouth of the powerful Skagway River. “Skagway's history and spectacular natural setting create unparalleled sightseeing and recreation opportunities. Skagway is filled with outstanding attractions, shopping, entertainment and museums. Lined with wooden boardwalks and restored buildings, this quaint and historic town is easy to navigate. Poke around on your own, or select from a variety of tours. Either way, you will be rewarded with the sights and activities in and around Skagway. “Accessible by air, sea and land, Skagway is located 110 miles south of Whitehorse on the Klondike Highway, it is the northern terminus of the Alaska Marine Highway System, and has daily air service from Juneau and Haines. “Let the kids earn their badge and become a Junior Ranger by stopping by the Klondike Gold Rush National Park Activity Center on 4th Avenue. While there, pick up a Family Adventure Pack for a self-guided tour of Skagway’s Historic District. “While out walking around stop at Mollie Walsh Park on 6th Avenue. Make sure to look for minnows swimming in the creek! “Alaska 360's Dredge Town is the only stop you will need for a fun, family friendly afternoon! Everyone will enjoy getting their chance to pan for gold, experience life at 40 below, learn about the Iditarod and have the chance to hold a husky puppy. An Alaskan BBQ is located on site for everyone to drink and dine. “Time to take flight, literally! The Alaska Excursions Grizzly Falls Zipline is not for the weak of heart. Their 11 zips (one measuring longer than 2 football fields) will take you soaring above glacially fed waterfalls at up to 45 mph! 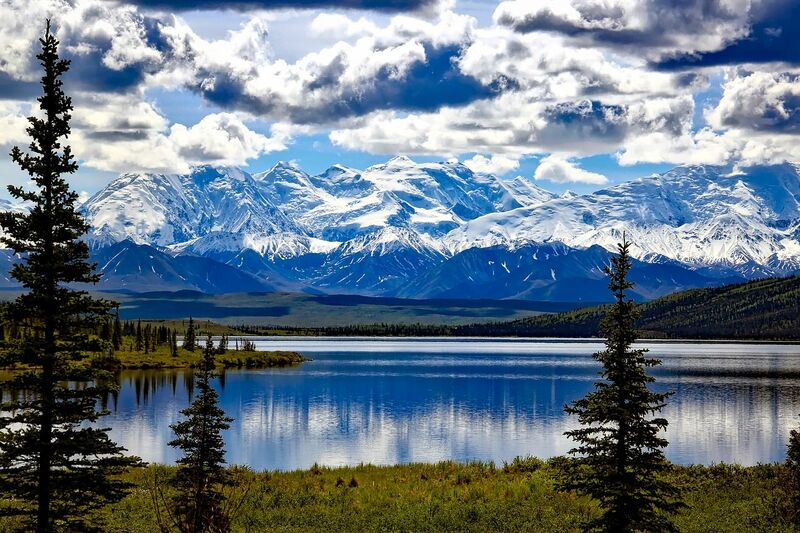 “Denali is the crown jewel of national parks in Alaska and attracts more than 600,000 visitors of all ages from around the world each year. The park encompasses six million acres of wilderness and amazing scenery, along with beautiful mountains and wildlife. This incredible park is bisected by one 92-mile stretch of road. “The park is special for a variety of reasons, not the least of which is that we are home to the tallest peak in North America. Denali is the only national park with a working kennel of sled dogs, which average 3,000 miles of travel in the winter! Scientists in Denali have documented 39 species of mammals that range in size from tiny shrews that can weigh as little as a penny to enormous moose that can weigh more than 1,200 pounds. If your family includes a child or two obsessed with the wild, this is the place to take them, and to build your excitement prospective visitors can see a comprehensive list of things to do via the park’s website. A trip to Alaska isn’t for those wanting to lounge around the pool and catch up on some reading, this is a destination for families that want to get out and explore, and are not afraid with getting in a little exercise while they’re at it. With that being said, one of the best ways to see the beauty the state has to offer is by enjoying a hike on Kodiak Island. Known as having some of the best hiking routes in Alaska, Kodiak Island is easily accessible by plane or ferry from Homer. Boasting stunning green mountains and replete with wildflowers, there are plenty of family friendly walks available to enjoy the surroundings. For information on trails, locations, and all other things Kodiak, make sure to head over to Discover Kodiak, the ultimate information resource on the area. If you hadn’t got enough of sea life while exploring the coast, or want to get a more in-depth look at some of the larger creatures around, the Alaska SeaLife Center is truly the place to be. The only public aquarium in the state, there aren’t going to be many better days out for parents and their children than right here. Part aquarium, part wildlife rescue centre, the facility is able to both entertain visitors and educate young and old alike about conservation. There are tours available as well, including behind the scenes looks at what it’s like to care for marine mammals and there are even opportunities to meet and feed some rather adorable little puffins! Make sure to mark it down on your Alaska to-do list before visiting.